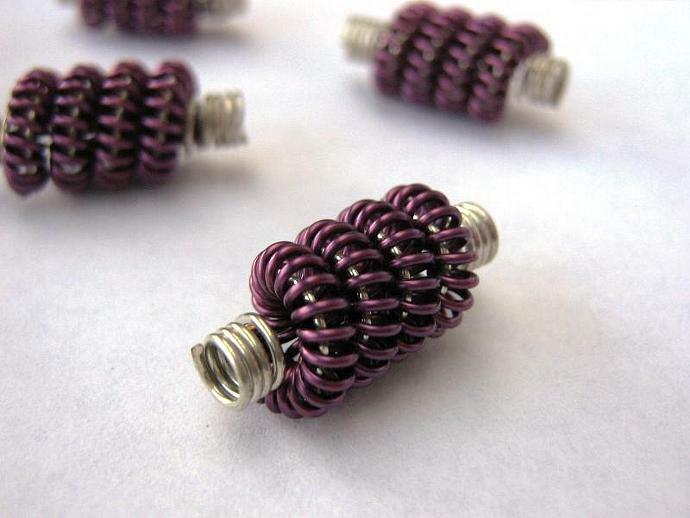 This listing is for six wire beads, handmade of non-tarnish purple -coated and silver wire. The underlying material is tinned copper, which appears silver-colored. It's lightweight but will hold its form well. 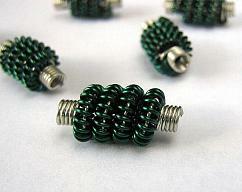 Each bead starts as over two and a half feet of wire, which is coiled and wound in a two-step process to form these brightly colored jewelry components. 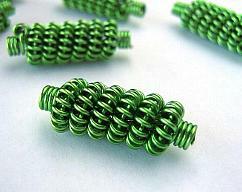 They can be used in many fun ways for earrings, necklaces, bracelets, or any other kind of jewelry your heart desires! 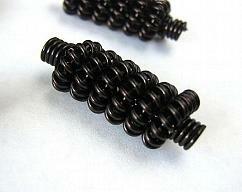 The beads measure 2cm (3/4") long and 10mm (3/8") wide and can be strung on cord or chain up to 3mm in diameter. 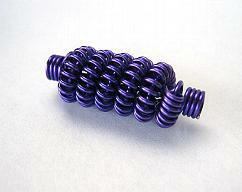 I can make them in different colors and in any length up to 2". If you want to buy multiple packs, let me know; also convo me if you’re interested in the quantity discount price for purchases over $250.